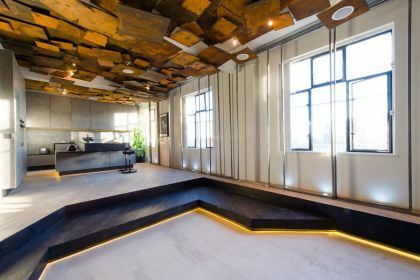 Unit 2B Warple Way is on a well-known street of Acton recording studios, where Florence and the Machine, Noah and the Whale, and even the late soul siren Amy Winehouse have previously recorded music. 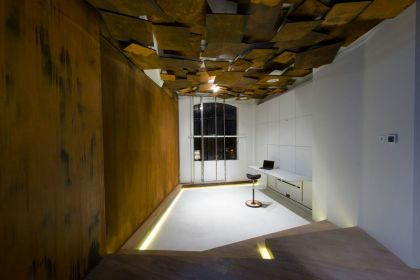 Fitting then somewhat, that it is now where 4M have decided to turn up the volume on an open-plan lateral office space, and transform it into a work/live gallery, using unconventional materials such as micro-cement and powder-metal paint to create its image. 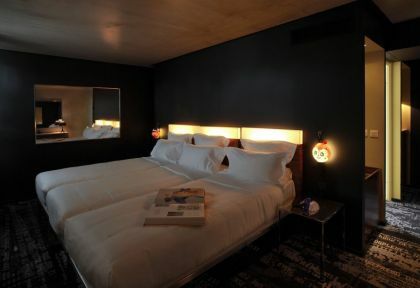 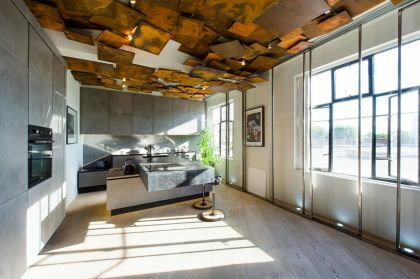 This rough-luxe unit was designed to reflect the heritage of a Kosovo-born Londoner, and his American-Detroiter wife. 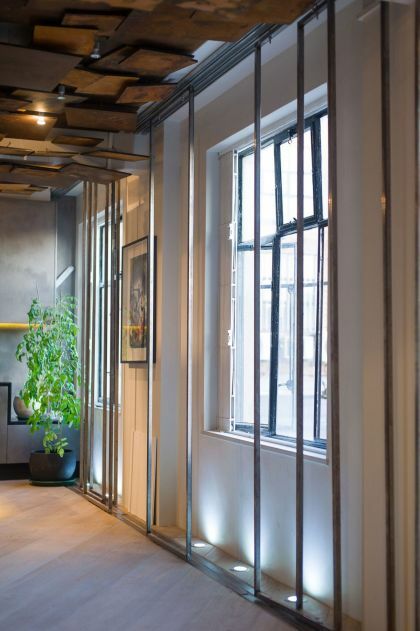 The two were going for glamour-meets-industrial chic – where the natural street cred. 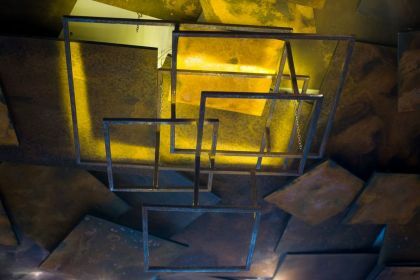 corrosion of metals take full reign, in a way that creates a warm and abstract backdrop, yet neutral enough to not take away from the art that will be on display. 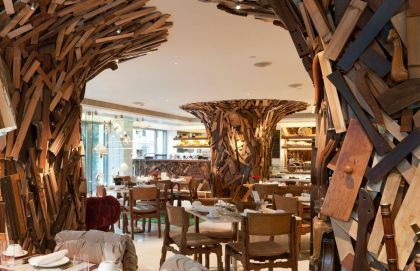 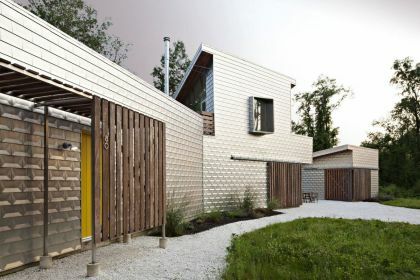 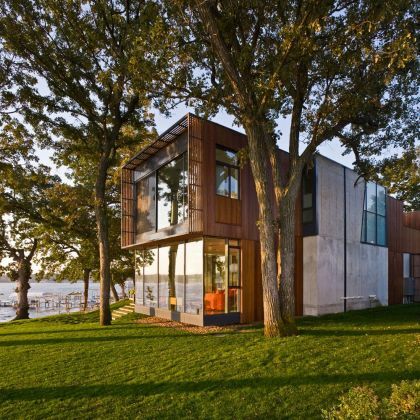 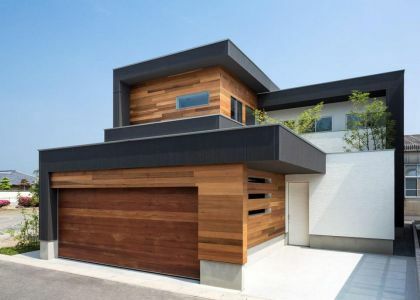 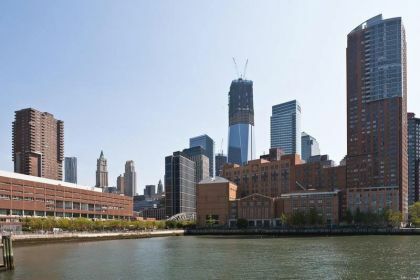 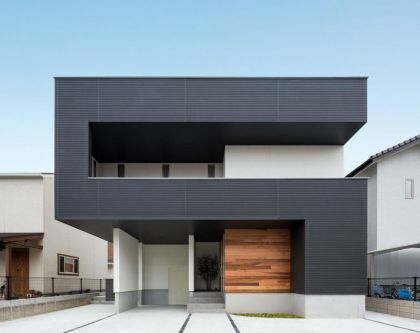 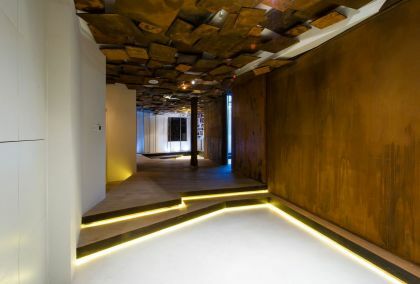 Inspired by reclamation, 4M used cement, cool metal, and bare wood, to harness the open-planned area’s strength, incorporating already established features, to not detract from its personality. 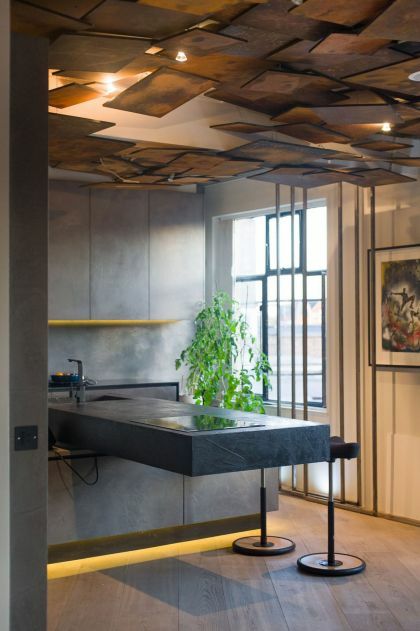 Through experimentation, 4M found revolutionary new uses materials –microcement to create sculpted sinks, bath, and a kitchen, and wall areas were coated with powder metal paint sprayed with acid to achieve an oxidised appearance. 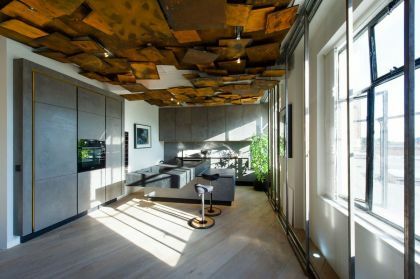 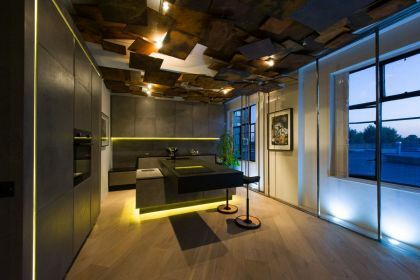 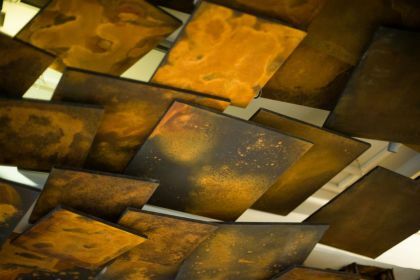 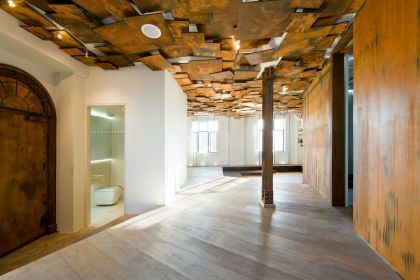 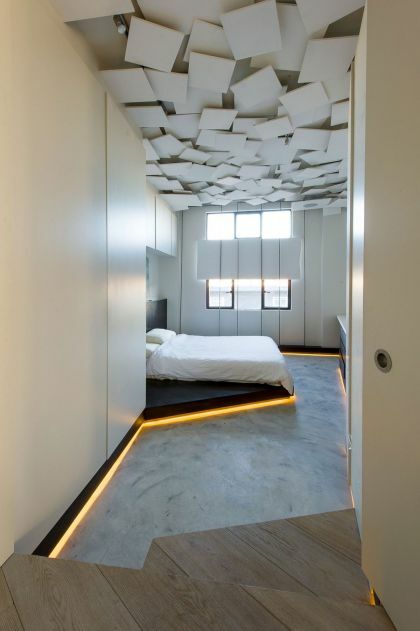 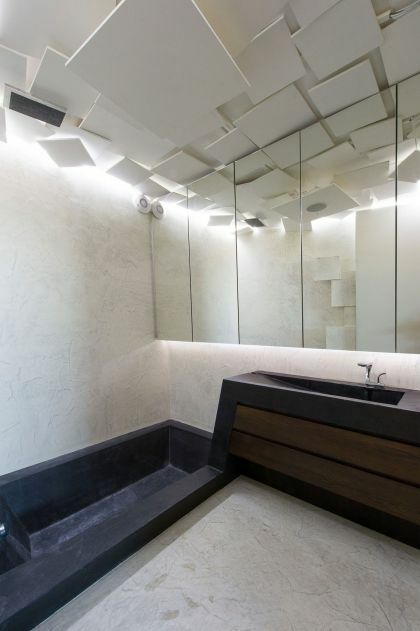 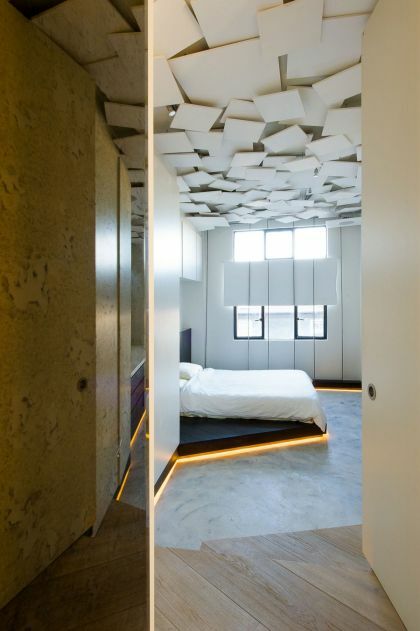 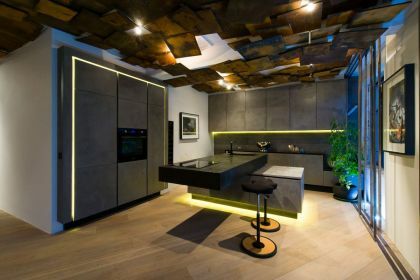 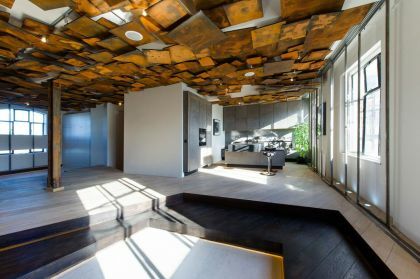 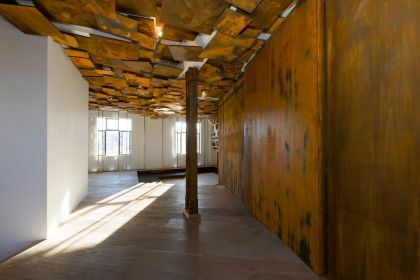 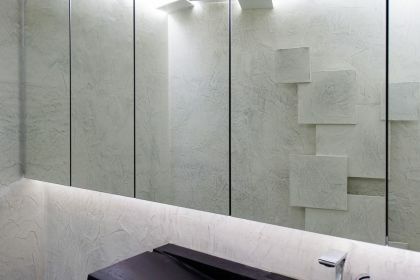 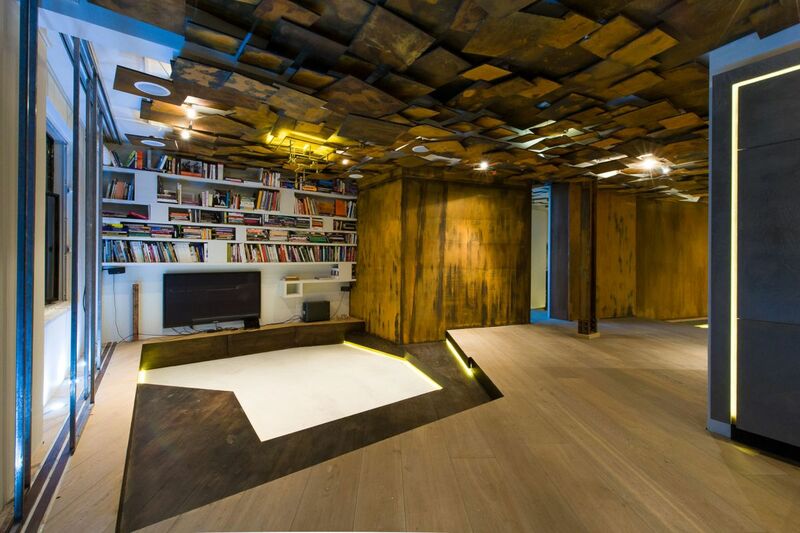 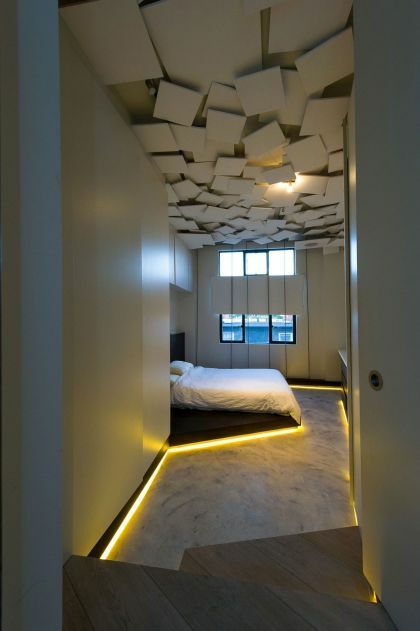 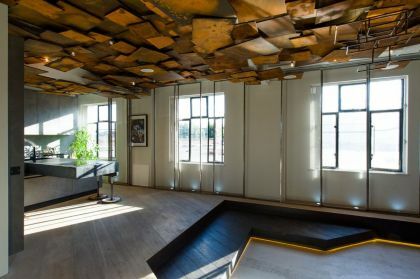 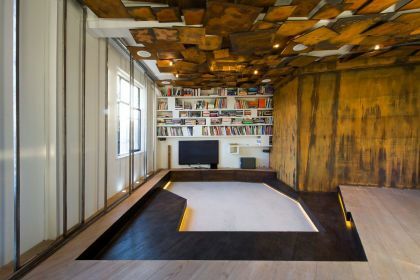 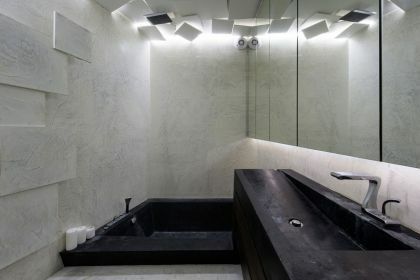 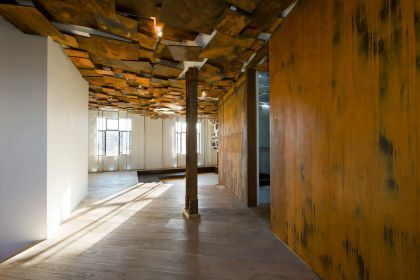 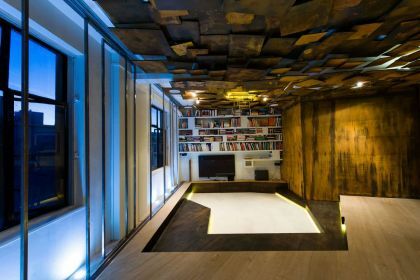 Multitasking to be both visually pleasing as well as functional, hundreds of ceiling panels were cut into three different sizes to create a floating ceiling installation, an irregular but continuous surface that keeps wires, lights, and speakers out of sight. 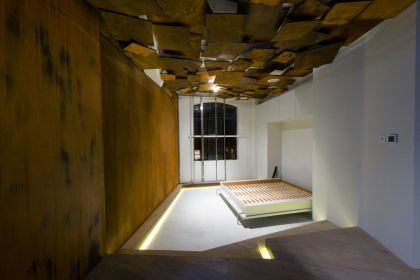 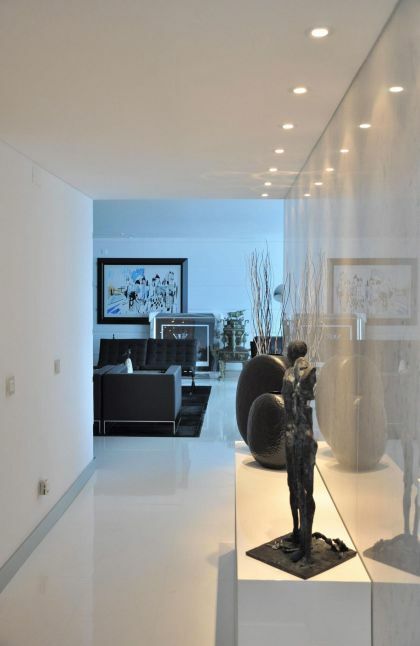 Tall floor to ceiling heights made it possible to be creative with the space, by constructing an additional mezzanine office platform area, and a hidden guest bedroom for a resident artist, by only shifting levels/grounds. 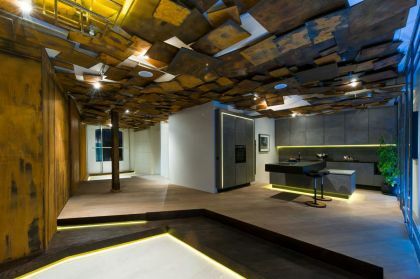 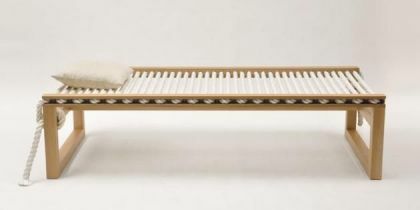 While most people would use white for a gallery, 4M choice of palette for this experimental laboratory is in itself art, as well as serving as a showroom for art – showing multi-functionality in a rebellious yet skillfully blended composition. 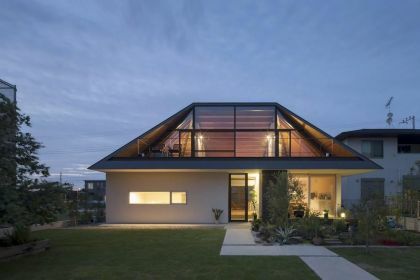 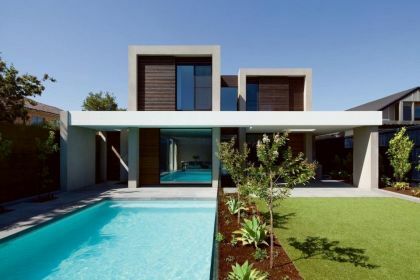 Description: This five-bedroom family home, custom designed in collaboration with our clients, is located in the Bayside suburb of Brighton.